During my work, I've found an interesting library GNU Triangulated Surface Library (http://gts.sourceforge.net/) that does, some nice things, like Constrained Delaunay triangulations. 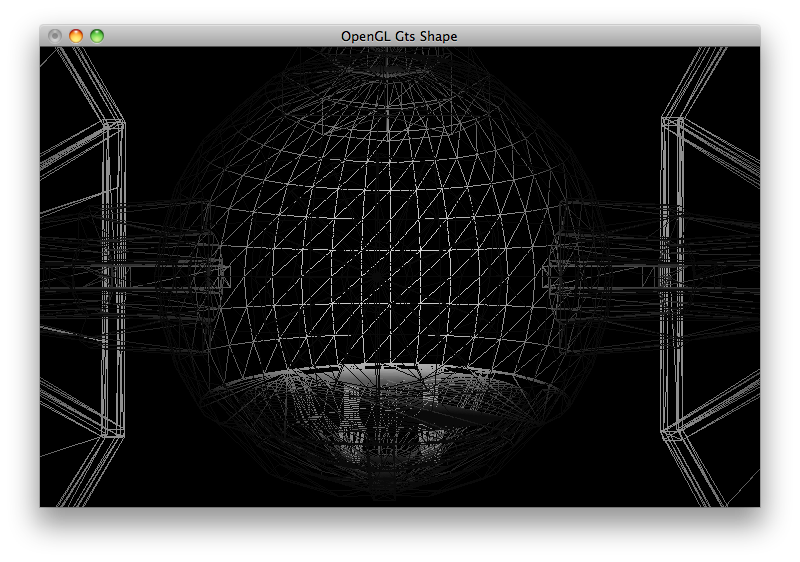 But what I was really searching today are just meshes to use in my OpenGL experiments. And there're a some GTS samples available on the GTS website. The screenshot above represents a GTS sample shape with a simple light effect. Just few lines of code to do it. But what I'm interested in, is create a simple way to load GTS file format, and below you can see the code. The Source code is available here GLDataGts Source Code, and main.c contains a few comment lines that explain how to compile and run. 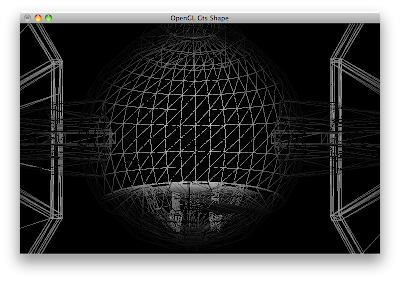 Check the keyboardHandler() function to learn how to interact with the OpenGL camera and lights.